West 10th Street near Walnut circa 1910. 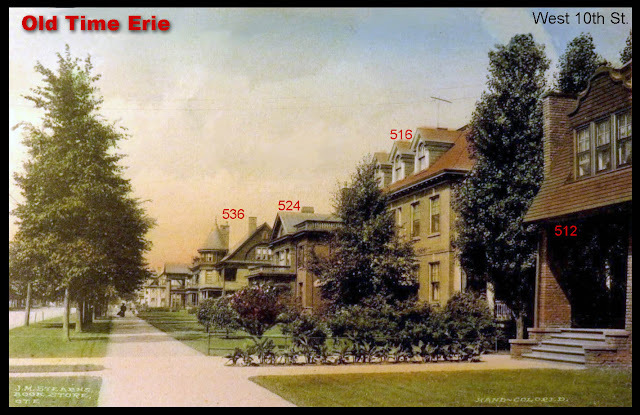 Old Time Erie historic postcards. The elegant and distinctive houses shown in this postcard show a series of well manicured lawns along West 10th near Walnut Street in Erie, PA circa 1910. 516 West 10th was home to Edwin Davis, owner of the Davis Wall Paper Co. Elisha C. Mack resided at 524 West 10th and Joseph Weschler owned the dwelling at 536 West 10th.